It looks wonderful! The beets sound great! So happy to see you having such a productive garden. Everything looks wonderful! will never eat another beet in my life. had too many as a kid from my mother's gardening and canning efforts. now, pass a big pot of green beans and i'll eat 'em raw! 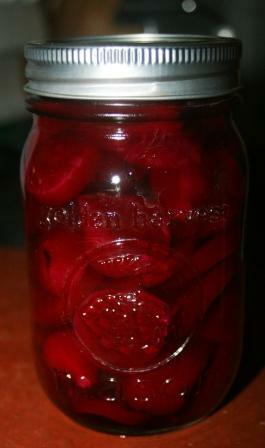 Pickled beets are awesome, I'd almost forgot how much we used to like them. They look wonderful. That's quite a harvest - well done! I love love love beets. Try a few roasted in the oven and topped with goat cheese. Bliss! 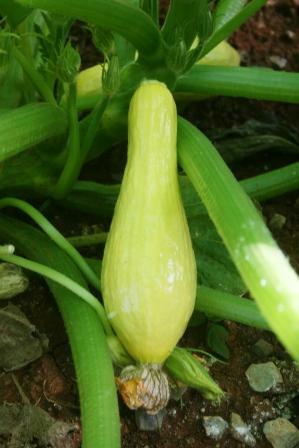 Our squash is still suffering from slow growth. No idea what the problem is, but it's making me crazy! LOVELY!!!! I am so, so jealous! Your garden is amazing!! And those beets look gorgeous in the jar-what a beautiful color! My attempt to a garden this year was 3 flower pots! Beans that my daughter pulled out so I had to replant, lettuce and carrots! 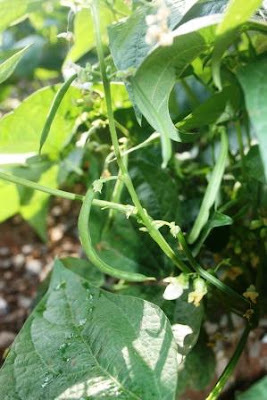 All your veggies look great and I'm glad to hear that your whole family appreciates them too! Looks delicious! I thought we were going to have hundreds of pears this year...bugs. Gotta love Texas! Like Nancy, I had to eat one too many beets when I was younger. But yours look like they could get me eating them again! The zucchini is so pretty that it even looks waxed! 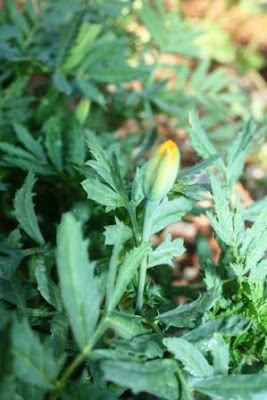 And the flower is beautiful. Marigolds are really good to plant around your vegetables, they keep the bugs away. Looks good. I miss gardening. I skipped it this year, but plan on doing a big one next year! 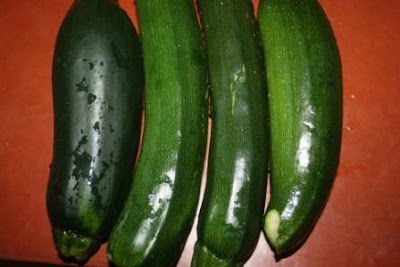 What you gonna do with all those zucchini? Your garden looks great! That rocky soil wasn't so bad after all. Enjoy the fruits of your labor. That looks awesome - I love the zucchini! YUMMY! It looks wonderfull! 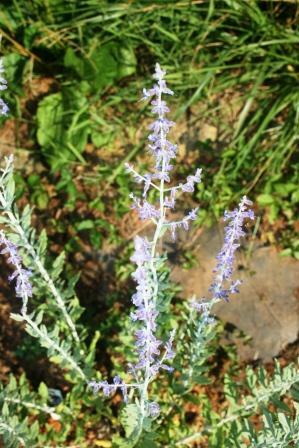 And yes don't kill the sage like i did!!! i want a garden of beets and green beans .... YUMMY!!! Your garden looks great! Wish I had room for green beans and beets. Wow! Your garden sure did grow fast! Ours isn't doing anything yet at all. Sigh.... I want squash! I want zucchini! The deer ate the beans again. 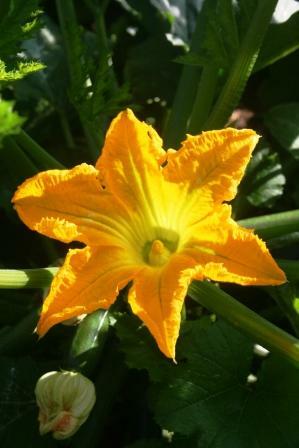 I'll send a few links for my favorite recipes for your veggie harvest. Oh I love the look of those beets. 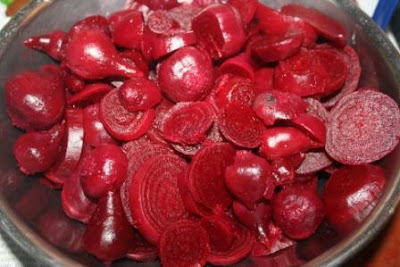 I love pickled beets.. Good Job~! I'm so envious of all your zucchini!! I finally figured out that my zucchini plants are totally infertile!!! The bees aren't doing their job so I have to self-pollinate them. I just wrote a post about it that's going up tomorrow!! Wow I am jealous you are already harvesting but that is awesome! I can't wait for our garden to be doing the same. Your beets look amazing. We finally have our first BLOSSOMS here!